Using the GIANT Toughroad SLR 2 as a base bike, Luna Cycle decided to use the lightweight aluminum frame and composite fork to build their next Lone Wolf Ebike. An all-around bike great for road and light trail-riding, you will not have more fun with an affordable ebike like this. Pair the KHS 4 Season's Wide 4.25" tires with the ludicrous controller to make the perfect beach powerhouse that can tackle even dry sand. With the extra fat tires you don't need nearly as much suspension, and it makes the perfect beach cruiser with just enough comfort. 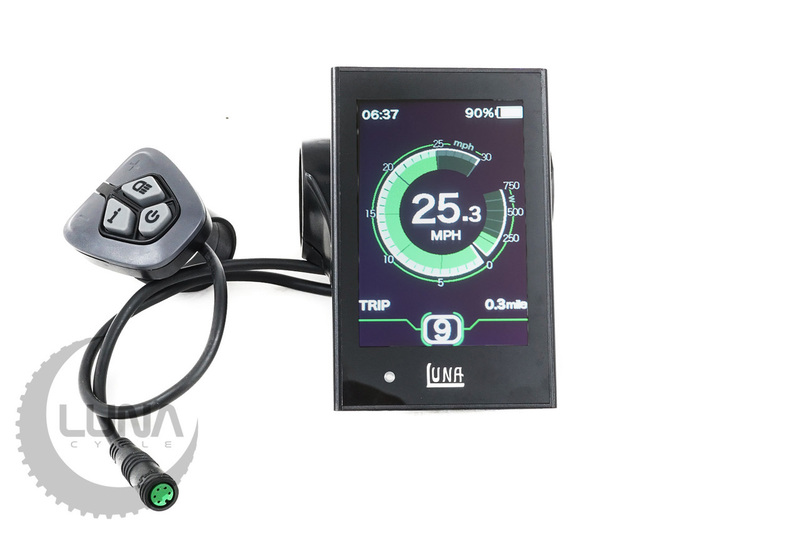 Luna is the first dealer in the world to stock the full featured DPC-18, and it comes as standard option in this bike.